For Nevada Democrats, it was a bittersweet election night. While succeeding in down-ballot races and getting out the vote for Clinton in Nevada, the effort didn’t stop Trump’s path to a White House victory. Nevada turned blue on Election Day. The state’s voters favored Hillary Clinton over Donald Trump and put two Democratic candidates into Southern Nevada congressional seats that were held by Republicans. Voters also sent Catherine Cortez Masto to replace retiring Senate Minority Leader Harry Reid, D-Nev. The well-oiled Democratic machine in Nevada kept the coordinated effort moving throughout the ballot. It unfolded even as much of the nation stayed, or turned, red enough to usher Trump into the White House and maintain GOP control over the U.S. Senate and House. For Nevada Democrats, it was a bittersweet night. While succeeding in down-ballot races and getting out the vote for Clinton in Nevada, the effort didn’t stop Trump’s path to a White House victory. 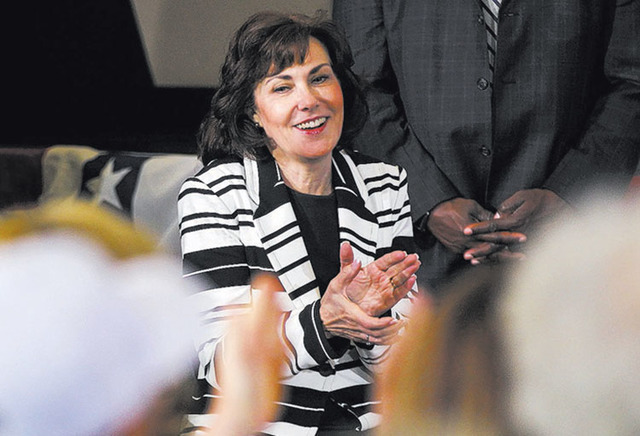 In the open 3rd Congressional District, Democrat Jacky Rosen beat Republican Danny Tarkanian, ending a six-year stretch with a Republican in the seat. In the 4th Congressional District, voters ousted U.S. Rep. Cresent Hardy, R-Nev., who was up for a second term. 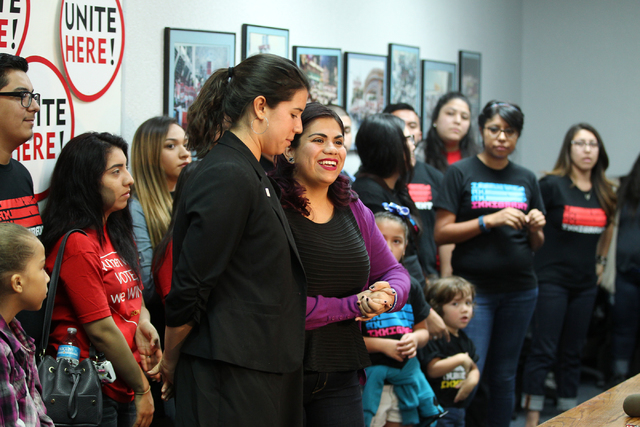 State Sen. Ruben Kihuen is replacing Hardy in Congress. Nevada Democrats also regained control of the state Assembly and state Senate, which they lost in the 2014 elections. Chris Miller, chairman of the Clark County Democratic Party, said it was a combination of strong candidates and a well-coordinated ground game that boosted participation at the polls during early voting and gave candidates a head start before Election Day. Democratic officials from across the U.S. will have a debriefing and talk in the days and weeks ahead about how the election went. Along the way, other states may pick up ideas from Nevada for their own strategies. Of course, no other state is exactly like Nevada. So what works in the Silver State may not work in Wisconsin or Ohio. “I don’t think there’s a cookie cutter model that works for every state,” Lange said. 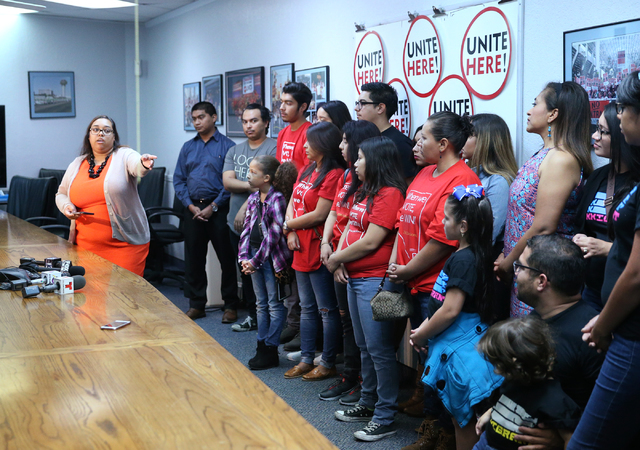 In Southern Nevada, for instance, the Culinary union was out in full force for Clinton, Cortez Masto and other Democratic candidates. 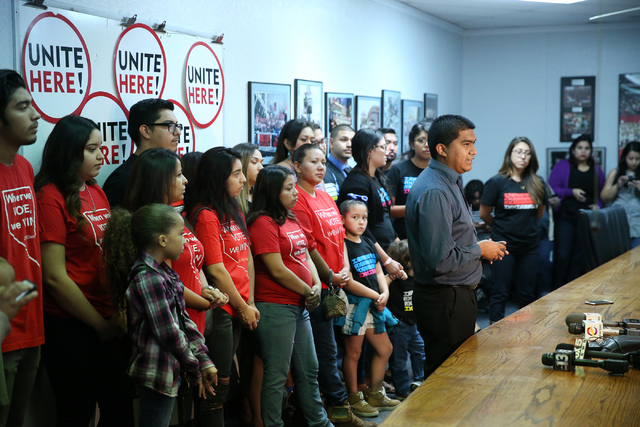 The union represents more than 57,000 bartenders, maids and other workers who labor in Nevada resorts and casinos. 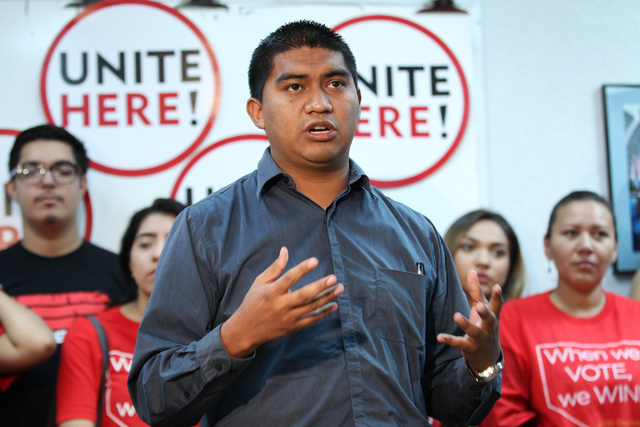 The union and immigrant groups were energized in part by the epic battle between Clinton and Trump over immigration policies, including Trump’s talk of mass deportations of undocumented immigrants versus Clinton’s support of a comprehensive reform with a pathway to citizenship. 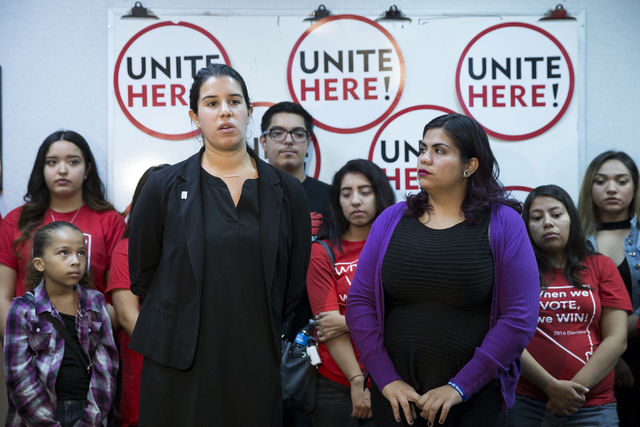 “We have laid the foundation for a long fight,” said Yvanna Cancela, political director for Culinary Local 226, at a press event Wednesday with reporters. 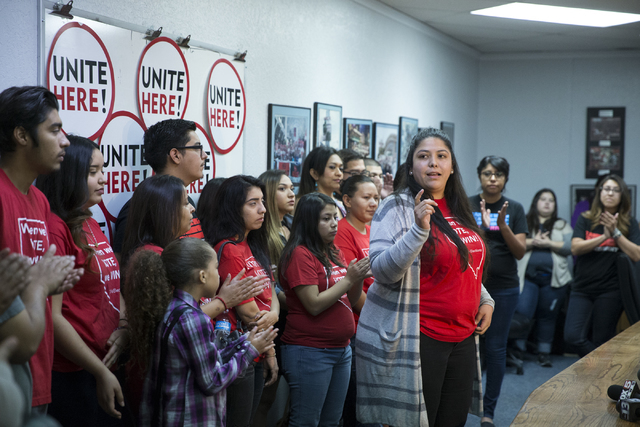 The Culinary union had 300 members who took a leave of absence from work and knocked on more than 350,000 doors, and visited more than 75,000 voters. 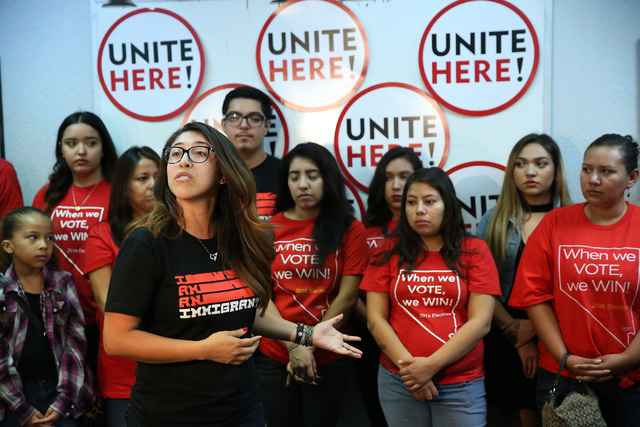 Through Immigrant Voters Win PAC, the union and other partners, including Progressive Leadership Alliance of Nevada Action Fund, Center for Community Change Action and Nevada’s Voice, reached out to Latino and immigrant voters. Republicans realize they have their work cut out in the next election. They had a combination of factors against them in Nevada: Voter registration favored Democrats and the Democratic machine was running at full speed. “We were up against Sen. Reid and the Reid machine,” said Michael McDonald, chairman of the Nevada Republican Party. A Republican National Committee operative points to the voter registration deficit that the GOP faced in Nevada, which didn’t leave much “wiggle room.” Statewide, 33.37 percent of registered voters were Republicans and 39.43 percent were registered Democrats. Republicans also point to the tighter margins in the presidential race compared with 2012, when President Barack Obama had 52.36 percent of the vote, a nearly 7-point lead over Republican Mitt Romney, who had 45.68 percent. The party’s ground game knocked on 1.5 million doors in Nevada and made nearly 2.5 million phone calls to voters.